How many should I order? Really want to wow someone? Send Honeybells. They&apos;re super­juicy, intensely sweet, and flavorful as can be. This is citrus taken to a whole new level. Locals “in the know” wait eagerly all year to buy them, but many people outside of Florida have never tasted one. Ship someone a gift basket of Honeybells, and give them the opportunity! You can tell why they&apos;re called “Honeybells” the second you look at them. That cute little “bell” on top of the deep­orange fruit gives these large, handsome fruits their name. These are really juicy. Like, seriously, famously juicy. Some eat them over the sink! Honeybells are generally seedless, but a few sometimes sneak in from time to time. Honeybells are easy to peel and delectable, so they&apos;re great for eating out of hand (though they also make amazing and plentiful juice). Just make sure you have a napkin on hand! Well, here&apos;s the rub. You can only buy Honeybells for a brief, fleeting time from the beginning of January through the middle of February. These gems have a short, but sweet season. Get &apos;em when you can. Almost all the Honeybells in the US are grown in a small region of Florida. It&apos;s one reason they&apos;re not so easy to come by. 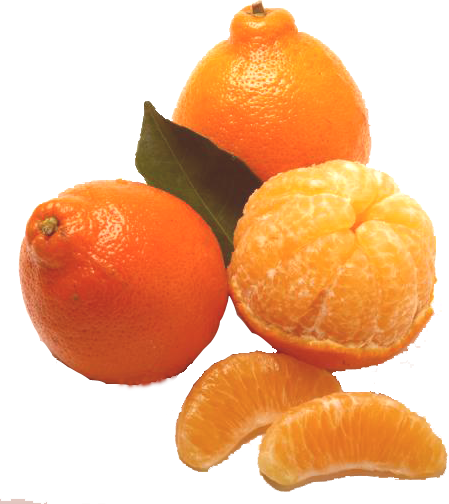 The Honeybell is a type of tangelo. The name comes from a combination of the two fruits that were crossed to create it — the “tange”­rine and the pomme­“lo,” of which the Duncan Grapefruit is a direct descendant. Honeybells are tricky to harvest! The little “bell” at the end of the fruit is fragile, and can&apos;t be torn when we take them off the tree. We have to treat these sweet, juicy babies with more care than other citrus, but they&apos;re worth it. The Honeybell is a relatively new variety — it was “born” in 1931. We can thank a plant expert named Walter T. Swingle, who worked for the USDA. Swingle created many new types of citrus, but his tangelos (he&apos;s also the originator of the Orlando tangelo) are certainly among his finest work. © 1996-2019 Vegetable Kingdom Inc., PO Box 530456, St. Petersburg, FL 33747 All rights reserved. Florida Fruit Shippers® is a registered trademark of Vegetable Kingdom Inc.